This 1955-1956 Corvette and Full-size passenger car LEFT/DRIVER'S SIDE rear axle is a reproduction of the original GM Chevrolet part. This product is made in the USA! Don't settle for the old cast steel when you can get these beautiful forged steel axles. 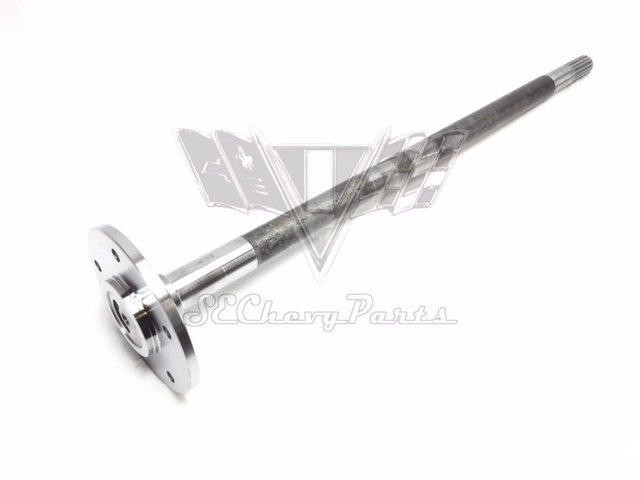 Southeast Chevrolet Parts uses the highest quality alloy for these reproduction shafts. Our axles have been induction heat treated, fully magna-fluxed, and forged with a hardened bearing seat to ensure a long lasting axle. Made to order, please allow 4 to 5 days. The studs, bearing, or backing plate may be purchased for an additional cost. 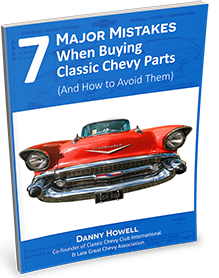 ""I bought the first 55-56 forged axles from Danny Howell. I was surprised buy the packaging, very well protected for shipment. The axles are great looking forgings and fit just like OEM. Looking forward to putting more horsepower on these axles. recommend to anyone who has had OEM bearings come off, or twisted splines. Thanks to Danny and crew. ""